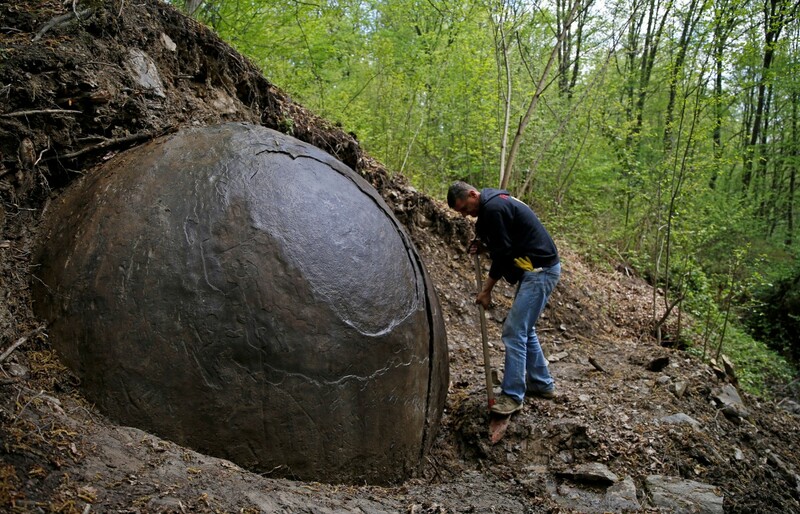 While I respect the writings of Dr. Shaena Montanari and her conclusion that Archaeologist Semir Osmanagich is wrong about his interpretation of his recent discovery is Bosnia "Archaeologist Semir Osmanagich, known as the “Bosnian Indian [sic] Jones”, says a 3 meter wide stone ball found in the forest of Visoko Valley in Bosnia was made by an unknown civilization that used to live in the area over 1000 years ago, but there are many reasons to cast doubt on this outlandish claim." she has made an egregious error. This is no "Concretion", it is obviously a scale model of the Death Star.